Decorate your bed or couch with a cushion in this Case, and augment the unique style of your room in an instant! Made from quality Material, the case is lightweight and durable and allows you to comfortably hold, lean against or rest on your cushion. The case is sure to add flavor, texture, and depth to your living space. Your cushion, in this case, will also look great on the dresser or even in the car. This cushion case is safe to machine wash, so you’re always free to change up the design once in a while as well. 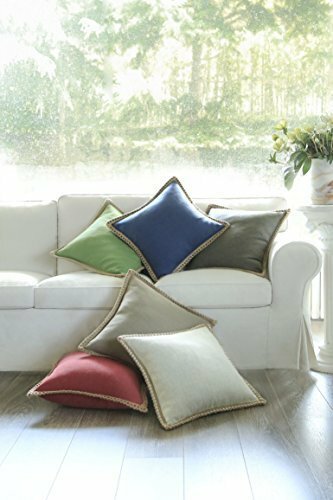 Best Throw Pillow for Home Decor, Large, Soft, for Adults & Kids, Great for Bedroom & Lounges – the cheapest Throw Pillow on the Market that is Comfortable, Sturdy & Won’t Pop,100% Satisfaction Guarantee!! Hidden zipper closure. Cushion Cover ONLY, Insert SOLD SEPARATELY.